Troma Entertainment is proud to release “A Halloween Carol,” Lloyd Kaufman’s Tromatic adaptation of a Dickens Holiday Classic. “A Halloween Carol” is directed by Lloyd Kaufman and Lily Hayes Kaufman with cinematography by Charlotte Kaufman. This is the first time two generations of Kaufmans have collaborated on a Troma film since the French Revolution. Last month, Troma was among the first few creators to shoot at YouTube Space NY as part of the YouTube Spaces: House of Horrors A Legendary Halloween program. 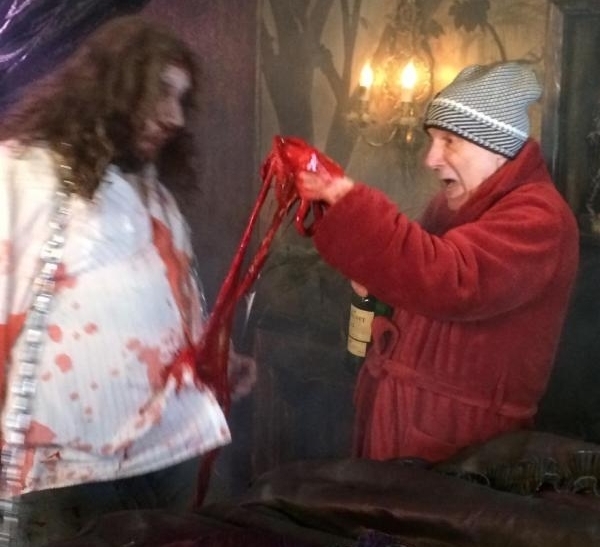 On specially-designed sets inspired by director Guillermo del-Toro and Legendary Entertainment, Troma filmed “A Halloween Carol” – a nod to Charles Dickens’ classic “A Christmas Carol.” Kaufman plays himself (“Lloydbenezer Scrooge”) as he is visited by his dead partner Marley Herz and three Halloween ghosts. Each warns him about the horrible consequences that will erupt if he does not make Troma films available to fans on a Tromamovies YouTube Channel. Watch Troma’s “A Halloween Carol” now on Troma’s YouTube Channel, Tromamovies. Tromamovies has over 80,000 subscribers and is one of the only film companies to offer hundreds of full length movies to its subscribers free of charge. This entry was posted on Friday, October 31st, 2014 at 12:16 pm	and is filed under News. You can follow any responses to this entry through the RSS 2.0 feed. You can leave a response, or trackback from your own site. 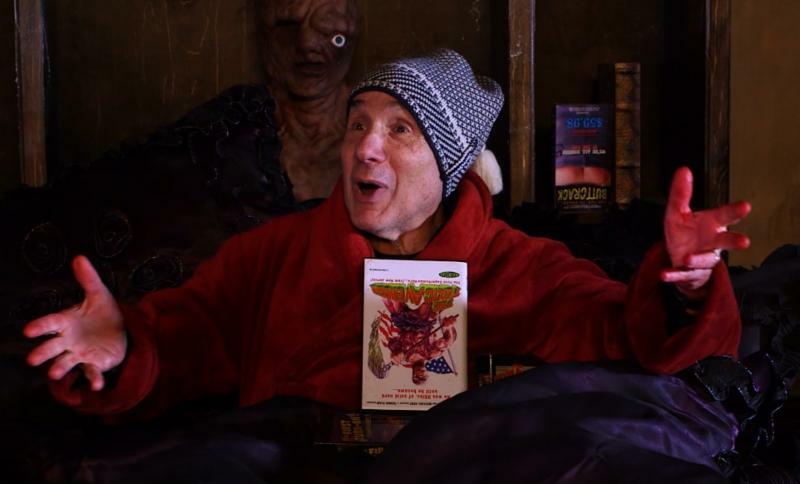 You are here : Home » news » 2014 » 10 » 31 » Lloyd Kaufman Launches Troma’s “A HALLOWEEN CAROL!” Now Streaming Online on YouTube and Troma.com!